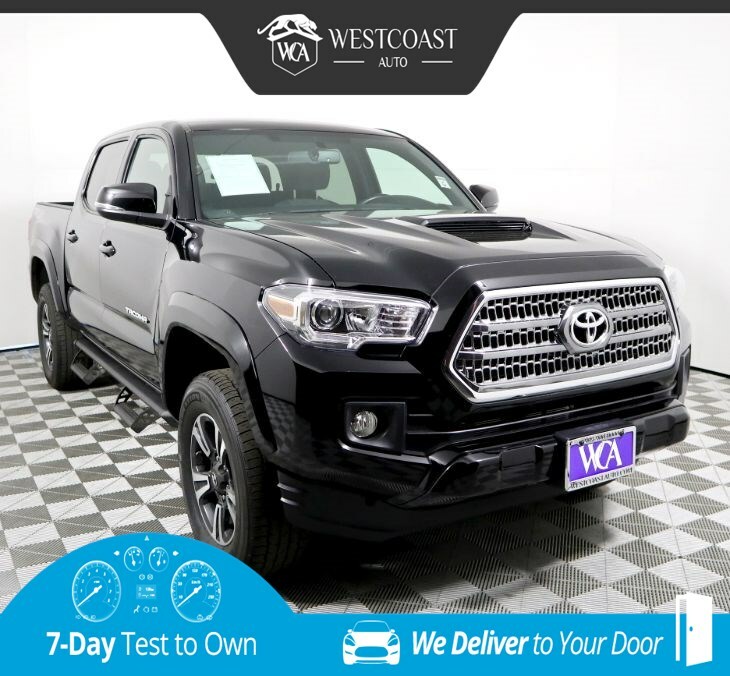 Get behind the wheel of our One Owner great looking Black over Grey interior 2016 Toyota Tacoma TRD Sport Double Cab 4x4. Powered by a proven 3.5 Liter V6 that offers 278hp while matched to a 6 Speed Automatic transmission for an enjoyable ride. With this Four Wheel Drive TRD Sport, enjoy impressive acceleration, the power to tow/haul, and near 24mpg on the open road. Not too big, and not too small, our Tacoma TRD Sport looks tough-as-nails with its muscular fenders, LED daytime running lights, bed liner, and tough looking wheels. Boasting comfortable cloth seating for five, the cabin is ready for action and helps you stay warm and relaxed with push-button start, a multi-information display, power windows and locks, and an integrated backup camera. You'll have no problem taking on your day in this great truck that also features Entune premium audio with a prominent display, full-color screen, wireless smartphone charging, Bluetooth, and available satellite radio. Rest assured, our Toyota Tacoma delivers the toughness you expect, helping optimize safety and performance with its new high strength steel construction and advanced safety features such as a tire pressure monitoring system, vehicle stability control, and smart stop technology. Thrive on the drive... Get in our Tacoma! Print this page and call us Now... We Know You Will Enjoy Your Test Drive Towards Ownership! Great quality, easy financing and affordable prices aren't the only things that make Westcoast Auto Sales the first choice of many discerning auto buyers. Stop in and See California's Dealer of the Year!